This Package will take you on an Adventure through 4 unique courses, which become progressively more advanced as you go through them. Along the way you'll be presented with everything from wobbly bridges, swinging surprises, zip-lines, hanging nets, Tarzan swings, and even more. Book this Package Here today! The Kids Package will take them through a single course, where they will be able to climb obstacles & learn how to properly use the safety lines. Unlike the Adult Course, the kids can go through the whole course twice - for double the fun, and double the picture taking opportunities for you! Book this Adventure Here today! 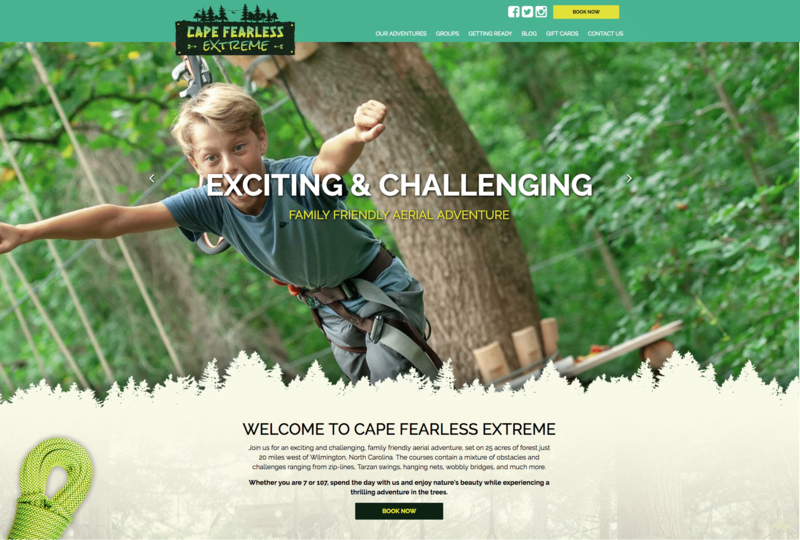 Check out the CapeFearless.com site here.